Having journeyed to Churchill, Canada, myself to observe polar bears in their native habitat, I was especially interested in this exhibit at the Assiniboine Park Zoo in Winnipeg. 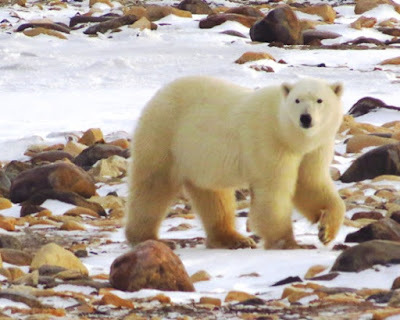 This project provides a thrilling education for many people about these massive mammals and the harsh environment around Hudson Bay in which they live. If an actual encounter isn’t in your plans, the zoo’s beautiful exhibit is something to see. Seeing polar bears in their natural habitat is the best wildlife sighting. Opened in 2014, 'Journey to Churchill' is a permanent exhibit. The sprawling 10-acre exhibit showcases Northern Manitoba, allowing visitors to connect with arctic species and landscapes, including going "nose to nose" with a polar bear. It’s the closest you can get to swimming with a polar bear and still stay dry and safe. Zoo exhibit is a fabulous opportunity to see and learn about polar bears. Tourism to see polar bears gives Churchill's 800 inhabitants an economic boost. 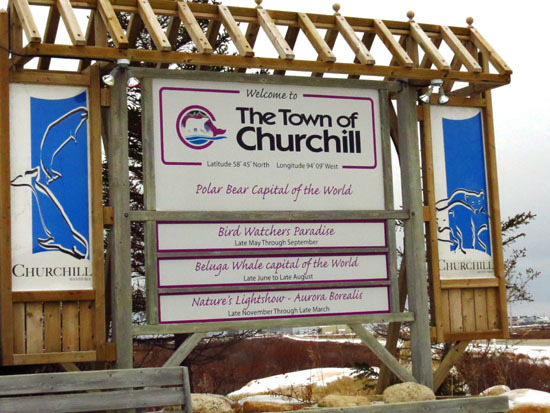 Visitors to 'Journey to Churchill' travel through three distinct zones. In the boreal forest-like Wapusk Lowlands, watch snowy owls swoop above, while caribou and musk ox graze and arctic fox play in grasslands. Gateway to the Arctic's showcase piece is the Sea Ice Passage, an underwater viewing tunnel for watching polar bears and ringed seals frolic. In separate pools divided by an acrylic wall, the predator and prey are still able to see and smell each other. Visitors to this zone also experience the 360-degree Aurora Borealis Theater. 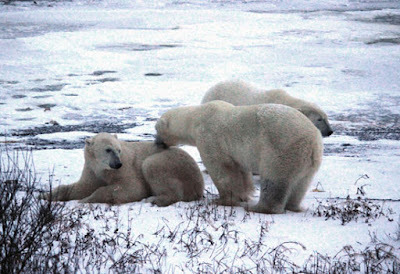 Polar bears congregate at frigid Hudson Bay near Churchill, Canada. 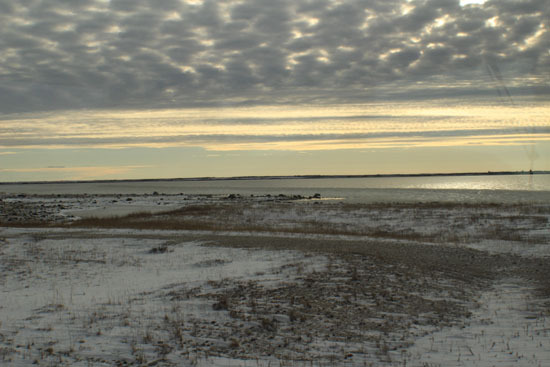 Churchill Coast offers a re-creation of the famous northern Manitoba town, and here visitors can watch polar bears congregate, just as they do along the Hudson Bay coast. The attached International Polar Bear Conservation Centre (IPBCC) is a world-class research facility caring for orphaned and at-risk polar bears. "The whole intent of the project is to create a love of wildlife, while educating attendees about conservation issues and climate change,” Peterkin says "It's an important message. People like to feel they can do something to make a difference, and by coming to the zoo and supporting what we are doing they are helping to save these animals,” he adds. Sunset glistens on the late fall ice--before Hudson Bay is frozen over. While you're there, grab a bite to eat at Tundra Grill Restaurant and watch polar bears roam. Children can romp and play at the Polar Playground’s ice caves, super slides, and a wall-sized icicle xylophone.